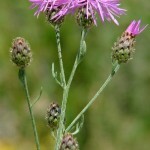 Spotted knapweed is a biennial or short-lived perennial that develops a large tap root and spreads primarily by seeds. The flower of this plant can be pink, purple, or occasionally white with surrounding bracts that are black or dark-brown fringed. 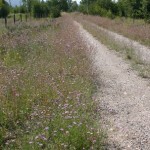 Depending on the plant’s health and location, it can have up to 50+ flowers per adult plant. 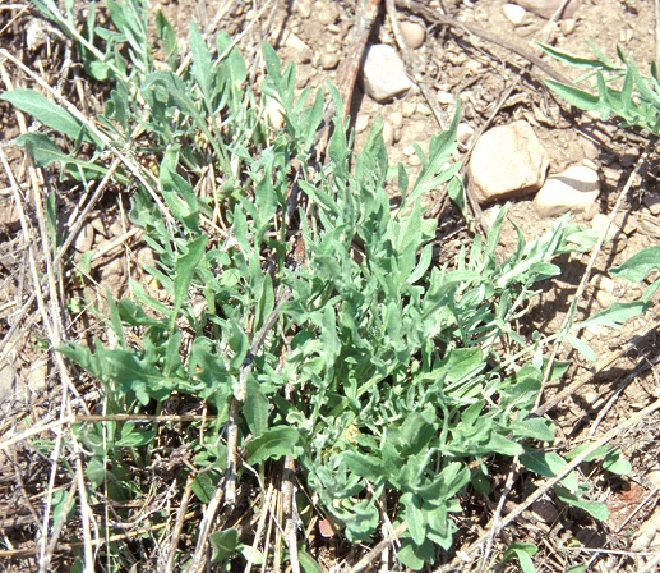 The leaves are very narrow and finely divided; they have a thin layer of matted gray hair often giving the plant a bluish green appearance, although they may also be green and bushy. 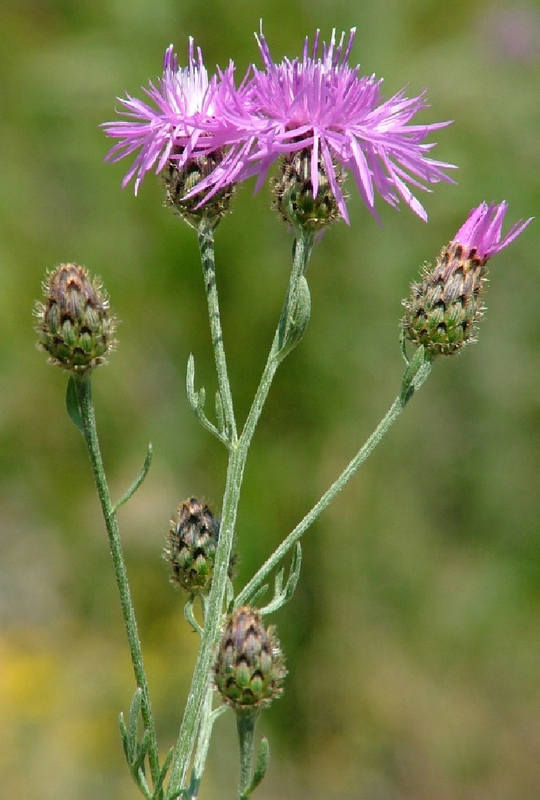 Spotted knapweed plants produce around 1,000 seeds per plant. 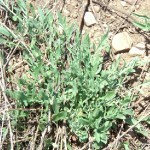 This weed is known to be allelopathic, meaning it releases its own chemicals that can reduce the ability of native plants to compete with it or in some situations can kill desirable vegetation. Spotted knapweed has shown itself to be highly invasive: according to Roger L. Sheley, James S. Jacobs, and Michael L. Carpinelli in their article “Spotted Knapweed,” this plant was isolated to just one island chain in Washington up to 1920, but by 1997 it could be found in 14 western states, 326 different counties, and every county in Washington, Idaho, Montana, and Wyoming. 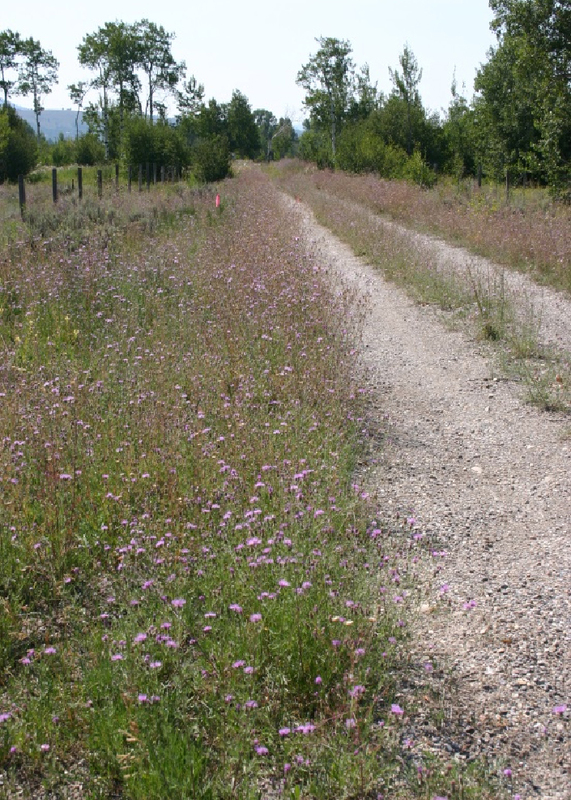 Spotted knapweed has invaded several thousands of acres in Teton County and often prefers dry, gravelly sites. 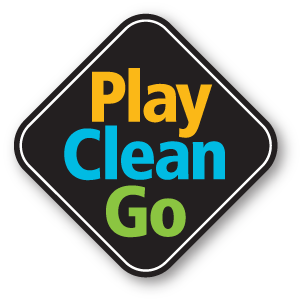 please call Teton County Weed & Pest District at 733-8419.